In 2010, the color turquoise was everywhere! Was that because it was the color of the year? 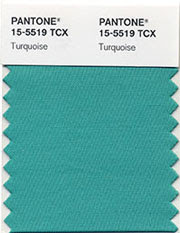 Or was it the color of the year because everyone loves turquoise? Well either way, it's time to move over turquoise. There's a brand new color for 2011. 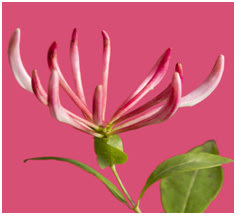 This time around, the color experts at Pantone have named Honeysuckle the color of the year. A Color for All Seasons - Courageous. Confident. Vital. A brand new color for a brave new world. Let the bold spirit of Honeysuckle infuse you, lift you and carry you through the year. It's a color for every day - with nothing "everyday" about it. So, what do you think? Do you love honeysuckle? 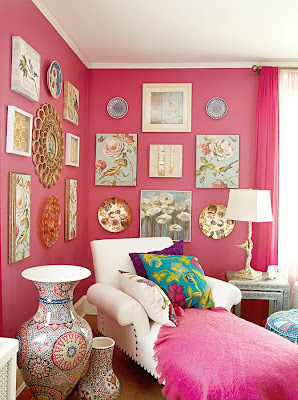 Is it a color you will be incorporating into your life? Not sure? Here's a little inspiration. And here's a room that combines turquoise and honeysuckle. I painted a few pieces of furniture turquoise last year. 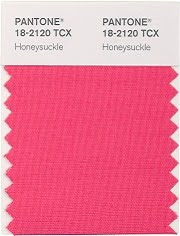 It will be interesting to see if honeysuckle makes it's way into my color palette in 2011. Congratulations to Allison @ Fab Rehab, the winner of our 200th follower thank you giveaway. Allison won a yoga mat in honeysuckle, of course! Be sure to go say hello to Allison at Fab Rehab Creations. She paints furniture too. She says she's saving the landfills while pursuing her passion. I love that! Allison, send me your mailing address and in between painting projects, you can be working out in style! 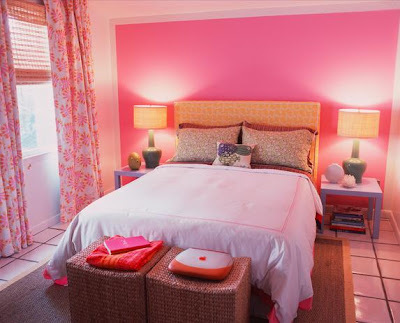 And if you aren't already following Cappuccino Cottage, you need to go check it out too. Deb correctly guessed that I picked the pink yoga mat to match the color of the year. Deb is a busy working mom transforming her lakeside cottage into a cozy home and it is totally adorable! 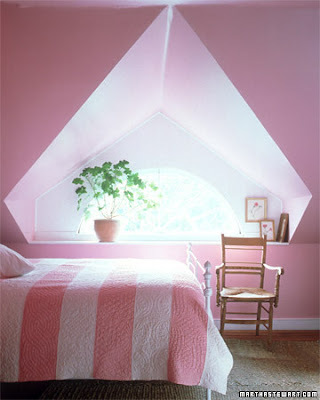 i am not a huge honeysuckle person, but those rooms are lovely! since i have a daughter, i can certainly use them as inspiration. I love the touches of the pink in the tq. room! How fun that you are having a tag sale. You will have to tell me all about it! How fun!! Thank you, Sharon! I have three boys, so I enjoy using pink anytime I can! It's a rarity!